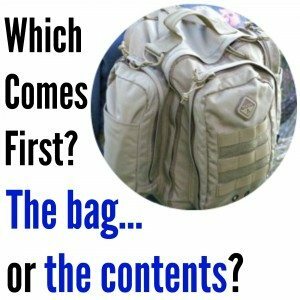 Unlike the chicken versus egg debate, this one is a rather important consideration, particularly when you’re working on a bug out bag or get home bag. Yet, at the same time, it is something about which few people give serious thought. I’ve witnessed this scene played out over and over again. 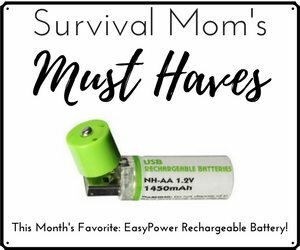 A new (or new-ish) prepper decides to follow the advice they’ve seen countless times and assemble a bug out bag. They head to the sporting goods store and buy a large backpack, maybe even going so far as to have an employee show them how to make sure it fits properly. 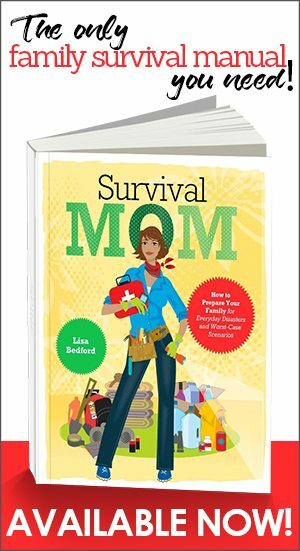 Prepper gets home and starts filling the bag with their food, water purification gear, tools, and all the other common accouterments. Once everything is stored away, they see they have all sorts of empty space left. Well, that just won’t do! So, they add more and more stuff, filling each and every pouch in the pack. By the time they’re done, the pack weighs about as much as their 4th grader and they can hardly lift it, let alone hike for any length of time while it is on their back. So, they begin the arduous task of culling, pulling out the things they don’t think they’ll truly need. Soon, they’re back where it started, with a pack that’s half full. Because of all the empty space, the large pack doesn’t sit quite right when they strap it on. Eventually, they either give up or they head back to the store to get a smaller bag and try it all over again. A far better plan is to assemble all of your gear and supplies first, then look for a pack to contain it. 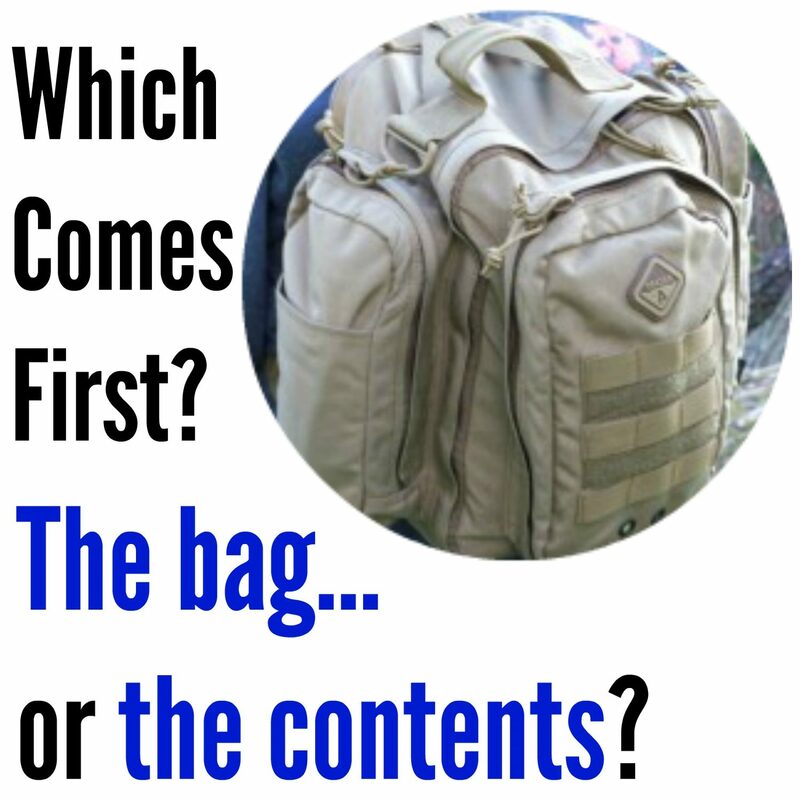 Without at least some idea of what you’ll be carrying, how could you possibly choose the right size pack? Don’t get me wrong, some amount of empty space in the bug out bag is desirable. If you end up in a true bug out situation, odds are pretty good you’ll be picking up odds and ends along the way, such as wild edibles, natural tinder, and who knows what else. Here’s my suggestion: As I said, gather all your goodies first. Food, water, shelter, tools, first aid, navigation, hygiene, fire making supplies. Then, go pack shopping and find one that is just a touch too small to carry everything you have gathered. Why? Because I guarantee that once you’ve loaded that pack the first time and walked around with it for a few hours, you’ll dump it all out and search for things you can ditch to cut the weight. This is really great advice. My husband is now an over the road truck driver and I was just telling him that if anything happens I hope he’ll do his best to make it home to us and because of that we need to get him a get home bag assembled. I’ve been looking at packs and wondering what kind to get so your article really helps. I couldn’t agree more! I did it the wrong way the first time and learned the hard way! Pinning and sharing on facebook! Excellent advice! I started with an old backpack I’d had from my high school days, and I made the mistake of filling every nook and cranny. When my adult son couldn’t lift it, I knew we had a problem! Great idea. I’m 66 and just trekked across northern England with only a 20# bag (mostly water) and it got heavier with each step. 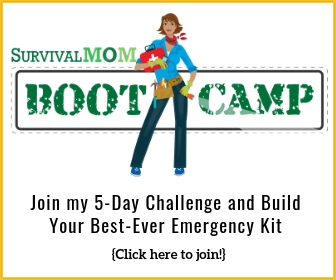 Recently I went to a preparedness fair put on by the Honeyville Farms store. One of the speakers did a session on a 72 hour bag (as different from a bug out bag which he said would contain guns lol) and it was all stored in a duffle bag on wheels. Easily portable. He was approximately my age. It brought back memories of prepping in the 90’s when we were told to use a wheeled plastic garbage container to store a family 72 hour prep. I like the wheeled duffle bag better. Everything was so organized. I’m now on the look out for a reasonable duffle bag easy for me to drag, etc. Granny, the problem with those wheeled suitcases or duffel bags is they don’t travel well on anything other than smooth, hard surfaces like pavement or sidewalks. Should you end up having to go cross-country, they are more of a hindrance than a benefit. I highly suggest those who are physically able to carry backpacks to do so. Another suggestion I’ve seen elsewhere is a contraption built for hauling deer carcasses out of the woods. It’s along the lines of a large dolly or 2-wheeled luggage cart, but it’s made for going off-road and hauling a lot of weight. I don’t know how much they cost, but one I saw on a prepping site used plastic storage containers to hold their supplies and just tied it all down. I wouldn’t want to take it mountain climbing, but it might be something to check into. We have a 4-wheeled garden cart that we can use, but I’ve often wondered about getting it through the woods. This is just an idea off the top of my head, but for those who want something with wheels what about a heavy duty jogging stroller? 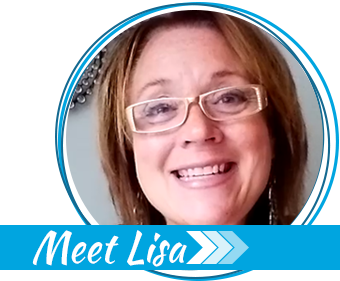 They are made to hold 30-40 pounds and go over different types of terrain. You could strap your BOB in where the child would go. You might look kind of funny, but if it really is that bad that you would be bugging out on foot, who cares.